Training is vital to securing safe and healthy workplaces. 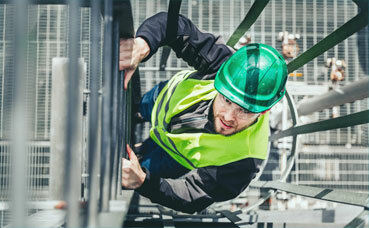 We provide OSH training on a range of topics. Recognising that time is of the essence, we tailor each training course to meet your needs. Discussing content, audience, duration and location, we will work with you to ensure your expectations are met. Whether it is a room full of executives, a group of managers or supervisors, or a dedicated work group, we can provide training on their OSH roles and responsibilities. Covering duty of care and legislative principles and focussing on the roles and responsibilities your local government sets them, we use real case studies to highlight the important role the target audience has to ensure safe workplaces. Like all businesses, the risks that contractors pose to your organisation can never be underestimated. To ensure your workers have the necessary knowledge and skills to manage contractors, we provide tailored training courses on contractor management. Our contractor awareness training covers why contractors are a risk and the principles behind how they should be managed. This 2 hour course is an introductory course often used by our members to get the contractor management ball rolling. We also provide contractor management training tailored to your own contractor management policies and procedures. Effective induction training provides the first and most valuable opportunity to foster a positive safety culture within your workplaces. Induction training introduces workers to your policies, procedures, consultative processes and raises awareness of your hazard identification and risk assessment process. As your induction program should be tailored to your needs, we will work with you to develop and deliver an induction program that starts your workers on the right path to a safe and healthy workplace. For a discussion about the training we can deliver for you, please contact a member of our OSH Team on 08 9483 8888.